2014 is shaping up to be the year that delivers a large revision in digital marketing strategy with 3 large developments in mobile internet consumption statistics. A new study from comScore has revealed findings that 60% of digital media time spent is from mobile devices (smartphones and tablets). This marks the first time mobile usage has dominated the desktop. We can’t help but predict that this statistic is a precursor to the further dominance of mobile devices moving into 2015, with eMarketer evealing global mobile ad spend growing 120% in 2013. This is in contrast to desktop spend increasing only 1.6% in the same period. Closer to home shows even greater ad growth with InMobi reporting mobile growth at 139% in Australia. Additionally, Google has revealed expectations for mobile search queries to exceed desktop search queries in 2014, and they have recently announced several new innovative display mobile ads formats are coming onto the market. When developing your digital marketing strategy, it is vitally important to cater for a mobile audience in order to increase SEO rankings and customer engagement. 2014 is the year mobile optimised webpages have transitioned from a luxury to a necessity no matter the size of a business. With society placing more demand on the access of immediate information, it is essential that this content is displayed correctly for mobile devices and also also current or up to date. Need to Adapt to Mobile? To experience web content optimised for mobile devices, feel free to put our site through its paces on your smartphone or tablet. 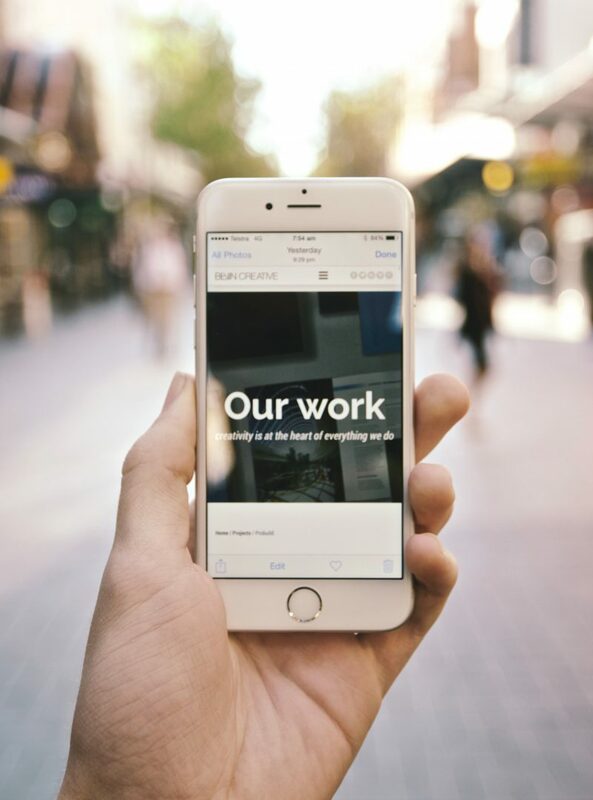 Additionally all work in our portfolio is optimised for mobile devices. If you wish to explore how your business can achieve higher impact within the mobile arena, feel free to get in touch with us at the bottom of the page. The Print Chameleon – being able to match the ever-changing landscape of print. Is Your Website Working To Its Full Potential?